The San Diego California brain injury attorneys at the Law Offices of DiMarco | Araujo | Montevideo have seen how hard a brain injury can be. We have helped many brain injury victims over the last three decades and we want to use that experience to guide you through this tough time. Our goal is to win your brain injury case and maximize the compensation you receive under the law. Our San Diego workers’ compensation lawyers and work injury law firm is experienced, ethical and standing by to take your call any hour of the day at (619) 946-6466. We will work for you on a contingency basis so you will not pay us anything unless we win your case. External brain injuries occur because of outside objects, pressure, or force affecting the brain including an object penetrating the skull and then penetrating the brain, blast waves, suddenly stopping or suddenly speeding up, or an impact because of a flying or falling object. Internal causes for brain injuries include cancer, infection, strokes, heart attacks, toxins, and hemorrhaging. Brain damage is what has happened when brain cells are lost, destroyed, or damaged. Brain damage could cause a loss of consciousness or emotional, mental, or physical function. Brain injuries and brain damage can be caused by any of a large number of illnesses, circumstances, events, or injuries. The following are some of the most common causes: strangulation, defective products, sports injuries (including football brain injuries, basketball brain injuries, hockey brain injuries, soccer brain injuries, rugby brain injuries, karate brain injuries, lacrosse brain injuries, diving brain injuries, racquetball brain injuries, tennis brain injuries, and softball/baseball brain injuries), car and auto accidents, skateboarding accidents, electric shock, choking, factory or mine accidents, malignancy, on the job accidents, motorcycle accidents, slip, trip and fall injuries, near drowning, pedestrian accidents, lack of enough blood or oxygen getting to the brain, construction site accidents, work injuries, crosswalk accidents, and violence. The Journal of Head Trauma Rehabilitation has stated that car accidents and being struck by a foreign object each account for around 20% of brain injuries annually whereas people tripping and falling accounts for 28% and violence and non-motorized bicycle accidents account for a combined 15% of the annual total for brain injuries in this country. Brain damage occurs for various reasons as well. This includes most of the brain injuries listed above, chemotherapy, aneurysms, poisons, a lack of oxygen, neurological illnesses, or by infections. The San Diego work injury attorneys at DiMarco | Araujo | Montevideo are available today to start discussing your brain damage injury case and fighting for you. All traumatic injuries should be taken seriously. This is especially true for possible injuries to the neck, skull, brain, spine and head. The following is a quick list of conditions that might signal a severe brain injury: dilation of both or just one pupil, slurred speech, convulsions, loss of coordination, tired eyes, lightheadedness, confusion, a headache that lingers, agitation, aphasia, listlessness, irritability, weak or numb extremities, unequal pupil size, and vomiting/nausea. Brain injury results vary rather widely. Some people will heal completely given the proper treatment and time. Many will not be as fortunate. A contusion is a bruise on the brain. Concussions are another type of brain injury. It could happen because of sudden movement to the brain (like falling and hitting your head on the ground) that stretch the blood vessels while damaging cranial nerves. Athletes in contact sports like boxing, soccer, equestrian or horseback riding, football, and wrestling have a higher percentage chance of getting a concussion than athletes of sports with less contact. Coup-contrecoup injuries are brain injuries that have happened when there is an injury at the original site of the trauma and an injury directly opposite of it. Comas can be an unsettling result of some traumatic brain injuries or brain damage. A comatose patient is in a very deep state of unconsciousness. After a coma, some patients may recover all of their physical and cognitive functions along with their complete memory. Other people are not as fortunate and might come out of the coma in a vegetative state, be lethargic, in a stupor or they may only have basic bodily functions. Injuries to the brain do happen at work or during the scope of your employment. Many jobs in California involve one of the following risk factors for brain injuries: working with or around big construction, motorcycles, conveyor belts, heavy objects, farm or factory equipment, electricity, trucks, mine equipment, cars, tractors, and chemicals. The San Diego work injury law firm of DiMarco | Araujo | Montevideo will work diligently to handle your workers’ compensation claims. The following are three syndromes somewhat associated with brain injuries. (1) Locked-In Syndrome is when the only physical movements a patient can do are blinking or moving their eyes. (2) Shaken Baby Syndrome could be the result of a Diffuse Axonal Injury where someone shook a baby or infant quickly. (3) Second Impact Syndrome is when a second brain injury has happened before a first injury to the brain has had sufficient time to fully heal. The first health professional has the responsibility to stabilize the patient and their body, get them ready for possible transportation and help them maintain proper pressure, breathing, and neck/spine support. They especially want to try to remove big blood clots, control the internal skull pressure, stop any active bleeding, and allow the needed amount of blood flow for the brain. Further treatment for brain injuries include restricting the overall fluid intake, using a ventricular drain and ventricular to assist the patient to breath while being able to drain fluids as needed, using anticonvulsants to try to help prevent seizures from occurring, and using diuretics to attempt to control the amount of water in the body. Brain surgeons perform the following surgeries on brain injury or brain damage patients. One type of brain surgery that they do is a craniotomy. This is when the brain surgeon creates an opening in the skull to try and resolve the medical problems that are causing the pressure to increase. A bone flap removal brain surgery is done to relieve internal pressure. The third type of brain surgery is Burr Holes which is done to remove blood clots. All of these surgeries have many potential pros and cons so you must fully consult your physician and brain surgeon. The Glasgow Coma Scale was developed to quickly communicate to any medical professional just how severe a brain injury is. The patient receives scores based upon verbal, motor, and the reaction of the patient’s eyes to stimulation. A 3 to 8 score for the Glasgow Coma Scale indicates severe brain injury; a 9 to 12 score indicates moderate brain injury; and a 13 to 15 score means it is probably a mild brain injury. After conducting brain injury and brain damage cases since 1979, we know just how complicated brain injuries are. 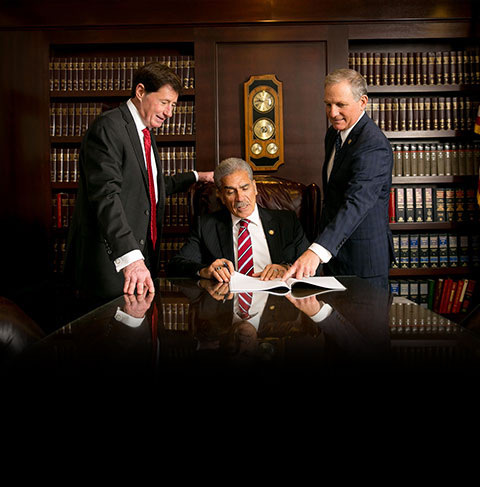 We also know that you only want to put your brain injury case in the hands of hard working and proven attorneys. We are those lawyers and are ready to be there for you. We offer a free initial consultation so you can get to know our firm while being given time to discuss your case and get your questions answered. Our law firm works on contingency so we will not charge you for our time and services unless and until we win your case. The San Diego brain injury attorneys at DiMarco | Araujo | Montevideo are very much willing to come to your home or hospital room if you are unable to come to our office. We available to meet during the normal hours of Monday through Friday between 8:30am and 5:30pm and we will also meet you, by appointment, on Saturdays, Sundays and in the evening.